Plenty of fish are found in the lake such as Baikal Omul, Lenok, Umber, Siberian Graying and River Perch. 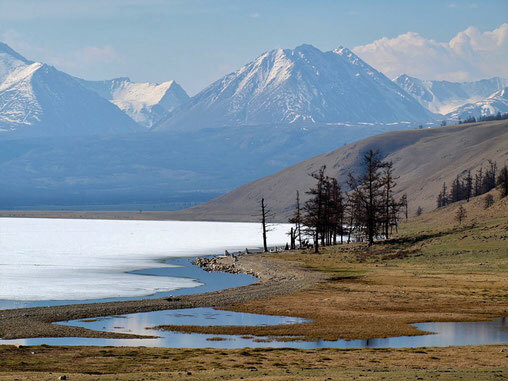 The Khuvsgol National Park inculdes the towns of Khatgal and Khankh, and a ferry service operates between the two. Living in the National Park are members of Khalkh, Buriat and Darkhat ethnic groups, and in the taiga forest and foreststeppe live the Tsaatan Reindeer herders.